Busy morning photographing a Park Run, followed by a quick dash over to Otley Rugby Club for the delights of a pre-match dinner. Though I’ve been to many rugby social events, this was the first time I’d sat down for a communal meal prior to a match. And very pleasant it was too. Thanks to all concerned. But there was the game to consider and I opted to forego a pudding in order to be out and ready for the kick off. The day’s visitors were Wharfedale. Bit of a stretch to call it a local derby as the two clubs are actually 23 miles apart. However, I think I’m right in saying they are each other’s nearest neighbours within National League Two North (only just in Otley’s case - Huddersfield Rugby Club is only a couple of miles further, depending on your route). Speaking of the league, Otley went into the match quite a way above their regular mid-table position of recent seasons. Wharfedale have fared less well in the first half of the season, being almost as close to the bottom of the table as Otley are to the top. If any further predictor was required, Otley’s supporters would recall winning their previous two encounters. ickledot’s recent coverage of the fixture resulted in a win for each, the first a home win for Wharfedale in December 2016 and a win for Otley on Boxing Day 2017. As it happened, Otley came out on top this time too, winning by 16-8 in a game which was mainly a defensive one. Wharefedale’s official match report has the revealing statistic that, despite their distance in the league, both are near the top for points scored against them and close to the bottom for points scored themselves. I’d decided to follow all the signals described above and sit beyond the try line Otley were attacking. I was therefore very well aware that Wharfedale made the stronger start as the play came nowhere near me for at least the first ten minutes. The flow did eventually switch though and Otley were able to profit from their increased possesssion where Wharefedale hadn’t. Adam Malthouse had a strong influence throughout the game and it was he who broke through to score wide on the right. I stayed with Otley in the second half and had positioned myself on the 22 metre line when Otley’s Joe Graham broke through for a long run to score near the posts. 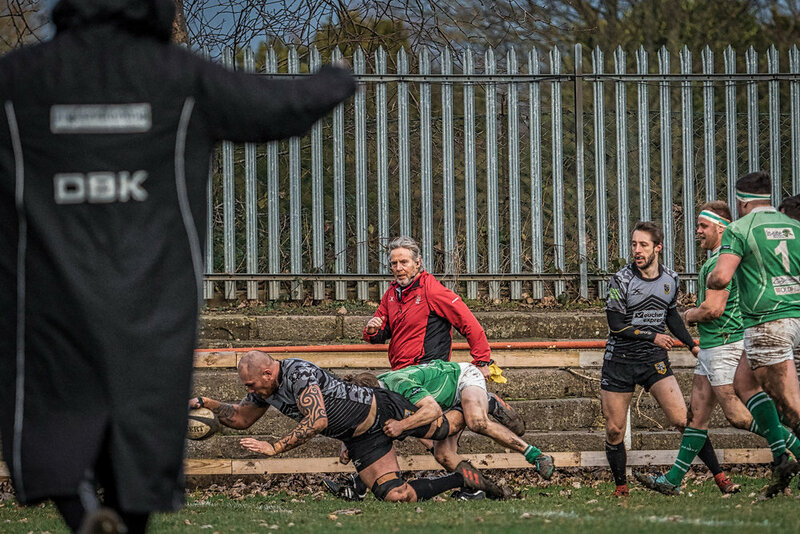 A further three points came from a penalty but in the final quarter Wharfedale began to apply the pressure and were rewarded with a try after 67 minutes. Otley’s Joe Graham touches down after a solo run. He later revealed that those cheering him on in the background were members of his family (apart from the man eating his sandwich of course). As is usual at this time of the year, the final few minutes of the game were played in virtual darkness so it was perhaps a relief from a photographic point of view that much of the player was again nowhere near me. A relief also to home supporters that Otley were able to withstand Wharfedale’s late period of possession. Another win for them and time for Wharfedale to reflect on a better game which still didn’t bring them a win. You can see more pictures from the game over in the ickledot shop. 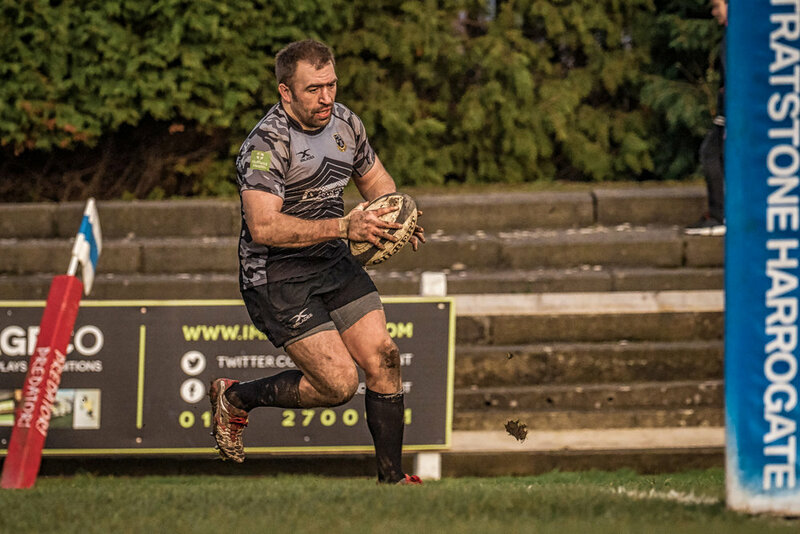 Otley’s Stephen Nolson has become an important member of the squad since joining them from Sandal so it was perhaps a shock when he announced he is going to play rugby in Australia for the coming season, making the trip on Wednesday. In my naivety I’d always assumed the flow of players was from the Southern Hemisphere to here and not the other way round. Clearly not the case! Best of luck to him and we look forward to seeing him again in September (or playing for Yorkshire again in May, if selected).